INTERVIEWER: How do you and C5 Capital weigh up the risk versus reward of late stage VC investment versus early stage? André Pienaar: C5 Capital’s Funds invest in mid to late stage companies. Typically this is a fast growing and innovative company that has a cohesive and experienced management, revenue from clients and proven products and services that want to partner with us to accelerate their growth on a sustainable basis often by building out their Board and management team, scaling their personnel worldwide, entering new markets, and refining a software as a service (SAAS) model on one of the 3 big cloud platforms, Microsoft, Amazon or Google. INTERVIEWER: Late stage VC is often seen as a challenger to the more traditional IPO route for raising capital in the later stage of a company’s development. Do you agree with this and what do you see as a benefit to companies of the late stage VC versus IPOs? 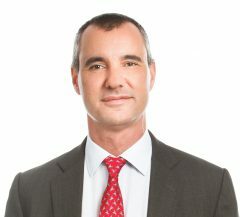 André Pienaar: C5 invests in the growth stage of a company’s development. You could also say we are the money in the crucial middle stage of a company’s development. We are not the first money and we are not the last money. Today more companies are remaining in the private ownership for their development than in the past. This often suits innovative companies with deep tech better because their investors are familiar with the challenges and the opportunities. However, each company is different and the decision about staying private vs IPO is really about what is best for that particular business. INTERVIEWER: What are the key things that you look for when investing in a company? Can we form a strong profitable partnership with the founders and any existing investors they may have for C5’s investors? Can we add value to help the founders realise their objectives and ambitions? INTERVIEWER: How do you work with the different Portfolio companies, once you have invested in them? André Pienaar: We are very hands on. C5 as a specialist venture firm whose General Partner invested to create an ecosystem that can help accelerate our portfolio companies’ growth. We pull out all the stops to help our portfolio companies. This means helping them winning transformative new clients and entering new markets, filling key vacancies, refining their product offerings on the cloud and strengthening their Boards and governance. INTERVIEWER: I’ve noticed there has been further funding in some of your portfolio companies, what drives these decisions to invest more? André Pienaar: Whenever we invest in a company we always reserve capital for follow on investment rounds. All our portfolio companies are fast growing business that are building strategic networks that are transforming cyber, AI and cloud globally. This kind of transformational technology and accelerated growth will always require additional capital. INTERVIEWER: What benefits do you provide your portfolio companies? André Pienaar: Our priority focus is on helping our portfolio companies drive their top line sales. If it is one benefit to highlight it is our ability to help our partners grow high quality enterprise-based revenue. We have a dedicated Head of Partnerships, Tami Longaberger, that coordinates our support to help our portfolio companies grow their sales in the US which continues to be the largest market for cyber, cloud and AI worldwide.